What Is The “Course and Scope of Employment”? When you have been injured on the job, and you begin the process of filing for workers’ compensation, the very first question that will be asked of you is whether or not your injury occurred within the scope of your employment. While most of the time, the answer is an easy yes or no, there are certain situations in which it might not be so clear-cut. 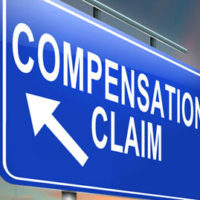 The fate of any Florida workers’ compensation benefits might depend on the reply, however, so understanding what is and is not “within the scope of employment” matters quite a lot. Generally, an injury sustained by an employee is only compensable if it has occurred within the “course and scope of employment.” Historically, this has meant either while an employee is on the employer’s presence, or while they are directly engaged in work for the employer off-site. However, given the advent of cell phones, tablets and portable computers, the line between work and home has blurred significantly in the last two decades, which makes it harder to separate accidents in the “scope of employment” from those that are not. The traditional litmus test is determining whether or not the action that the employee was taking at the time of the accident was beneficial to the employer or not, though this is not the only factor. If a truck driver is involved in an accident while heading to a client’s warehouse with a delivery, they will likely be held to have been acting within the scope of employment. Conversely, if the same accident were to occur while the trucker was en route to a hotel for the night, it will be more likely to be deemed personal time, because the trucker was not directly engaged in work to benefit the employer. If you are involved in an accident on the job, you should be able to collect workers’ compensation. However, depending on the facts of your accident, your employer may try to argue that you were acting outside the scope of employment. If this happens, your best remedy is to contact an attorney as soon as possible, because Florida law is somewhat inconsistent as to what counts as being within the scope of employment if you are not on the premises at the time you are injured. It is also important to be aware that cases involving chronic conditions and illnesses are somewhat different, because in order to receive workers’ compensation for a chronic condition, you must be able to show that the nature of your employment (that is, the work undertaken during the course and scope of employment) was the major contributing cause of your illness. For example, a secretary who developed a repetitive stress injury after years on the job would likely be able to show that the nature of her employment was the major contributing cause. If your injury or condition is not linked as clearly to your job, you may have difficulties obtaining benefits. Florida’s workers compensation laws can be confusing to the average layman, especially after being injured and worrying about how to make ends meet. If you need help interpreting whether your accident occurred within the scope of your employment, contacting a dedicated workers’ compensation lawyer can be a great help. The Orlando workers’ compensation attorneys at the Hornsby Law Group can sit down with you and help determine the best course of action for you and yours. Call us today for a free consultation.